Horror tends to be thought of as a very male-dominated genre. That’s always the way it has been seen. But it’s been challenged more and more in recent years. There are more female fans than ever before. It’s always been a genre driven by women, when you actually stop to think about it. Horror has more female protagonists than any other genre and they are often fully capable, wholly realized and realistic characters, despite what the genre’s detractors would say to the contrary. Still, we think of the great horror writers and directors and women rarely come to mind. Sometimes they’re not promoted as much as their male counterparts. But more often than not, many talented female filmmakers aren’t getting the work they should be. But it’s not all a boy’s club. Some of the best horrors out there have been written, co-written, produced or directed by women. They’ve always been behind the camera, so often doing all of the work and getting none of the credit or praise. In a world where the most popular and influential horror story of all time, Frankenstein, was written by a 19 year old girl, we still need to draw attention to female creators to make sure that they even get noticed at all. A few of Lucio Fulci’s gore fests were written by Elisa Briganti, but I wanted to focus on his most popular film, the one that earned him the international title as a master of splatter, The Godfather of Gore. 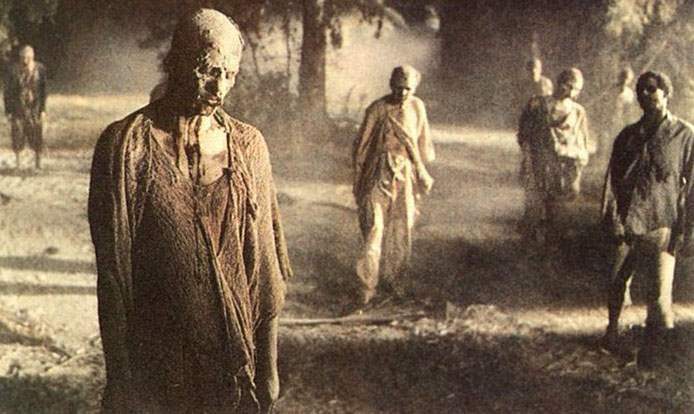 This is not only an essential zombie feature, but a key cornerstone of Italian horror cinema. It’s one that no fan should go without seeing and has some surprisingly innovative twists and turns other than the elaborate kill sequences, not to mention a wholly underrated ending. Originally a novel by Bret Easton Ellis about the status quo and place of a man in the 1980s, American Psycho became a film that explored that same subject matter through a female perspective. It’s directed by a woman, it’s written by a woman, and so it makes sense in a way that the satire is so much more overt than the book. American Psycho is a very funny movie, which is a problem that a lot of people had with it, including the original author, who also criticized it simply for having a woman director. Written by Diablo Cody, who also wrote Juno, Jennifer’s Body is an underrated horror comedy about high school. It’s kind of Mean Girls for the horror set and actually works pretty well in that regard. Megan Fox gives easily her best performance and the whole film has a quirky tone that’s not trying too hard to be quirky. It feels like a solid ‘90s horror comedy that happened to come out a decade later. This one really shouldn’t be so surprising. Ginger Snaps is explicitly told from a female perspective and that’s one of the best things about it. That’s part of what makes it so important. It’s a coming of age story that brilliantly blends the werewolf myth with puberty. It’s only grown in popularity since its release, which is a very good thing. I’m glad to see it start getting proper recognition and it is already cementing itself as a genre classic. Another werewolf classic, The Company of Wolves was based on a short story by Angela Carter, who actually wrote the script with director Neil Jordan. It’s an update of the classic Red Riding Hood story with Angela Lansbury as the grandmother explaining the nature of men through use of the werewolf myth. It’s an underrated, under-seen, and altogether impressive feature. Tobe Hooper’s 2003 remake of The Toolbox Murders paired him with writing duo Jace Anderson and her husband Adam Gierasch. Together, they scripted numerous Hooper films including Mortuary and Crocodile as well as writing Mother of Tears for Dario Argento. They’ve since gone on to write and direct their own features with Night of the Demons, Fractured and more. The quintessential slasher film was a co-writing effort with a woman doing much of the heavy lifting. Debra Hill was crucial to Carpenter’s early work and her importance in the industry cannot be overstated. She started out as a script supervisor, wrote Halloween and The Fog with Carpenter, and then became an incredibly successful producer, going on to produce films like Adventures in Babysitting and Clue. 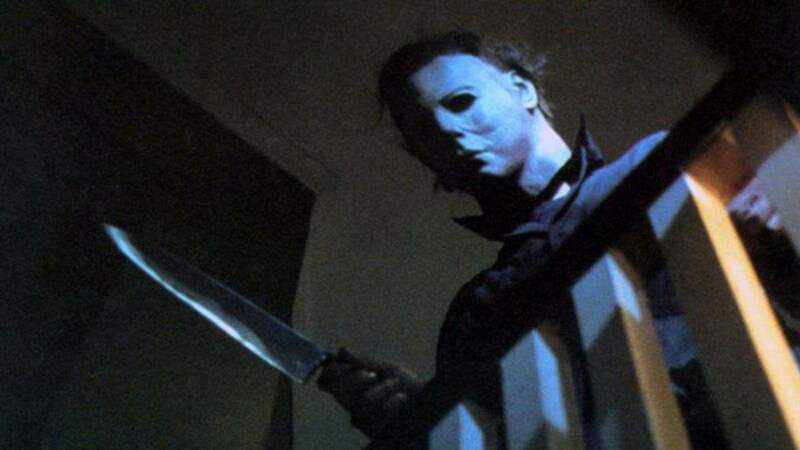 On Halloween, Carpenter wrote most of the scenes between Loomis and the sheriff explaining Michael’s backstory and evil presence, while Hill handled much of the dialogue between the teenage cast. I Saw The Devil US Remake Revealed!